The whiskey sour is a specific type of mixed drink that basically contains bourbon whiskey, lemon juice, and a sweetener. It is known for its unforgettable balance of tart and sweet flavors. Traditionally, it is garnished with a maraschino cherry and half an orange slice. 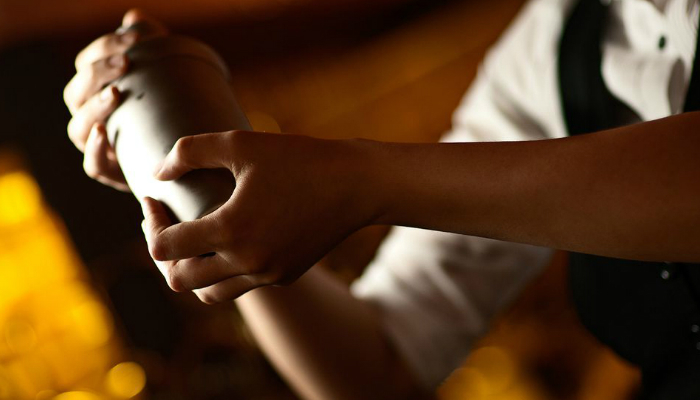 Like any other mixed drinks, it has several variations to satisfy different palates. That is why we are here to give you various recipes on how to make a whiskey sour. 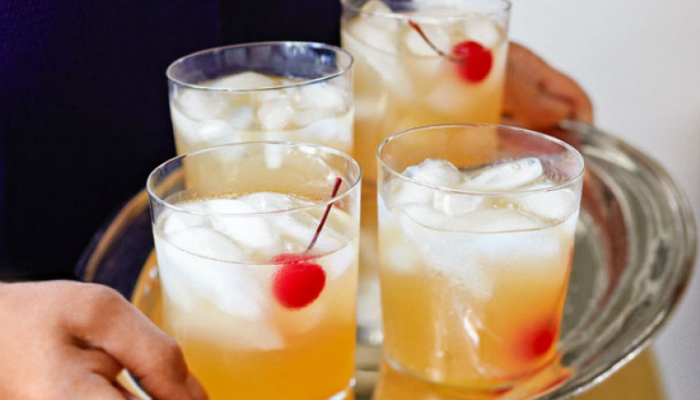 Making your own whiskey sour only takes a few minutes – it’s that easy! Mix everything in a shaker. Cocktail shakers are best for this step. However, if you do not have one, you may use a pair of tall glasses. Just invert one glass to connect its rim to the other. For a safer option, use a glass jar with a screw-top to prevent spills. To mix the ingredients perfectly, simply shake the container for 10 seconds. Transfer the drink to an appropriate glass. A foolproof way to avoid spills while pouring the whiskey sour is by leaving the ice inside the shaker. If you want it on the rocks, prepare a new batch of ice inside the drinking glass before the transfer. 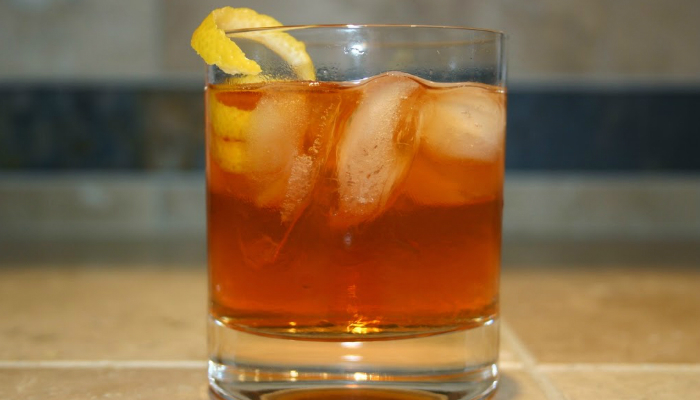 An old-fashioned rocks glass is commonly used for a whiskey sour with ice. For the straight-up version, you can serve it in a cocktail glass. Add your preferred finishing touches. A common side garnish is the lemon twist or slice. For a sweeter taste, use a maraschino cherry instead. If you want to balance the sweet and sour flavors, simply add lemon juice or sugar. Mix everything except ice in a shaker. You would know if you have mixed the ingredients thoroughly if the drink becomes frothy due to egg white. Do not settle for just a short mix; globs of egg white can be disgusting for a normal palate. Besides, the froth actually has a purpose. It makes a whiskey sour smoother and the lemon tastes softer. Regarding the absence of ice, cold temperatures do not emulsify egg white fast. The emulsion is crucial to distribute the egg white evenly all over the drink. If you really want ice inside the shaker pronto, you have to shake the ingredients faster and longer. The upside is you only have to mix the drink once. Just a heads-up, raw egg white may contain the harmful salmonella bacteria. To guarantee safety, use eggs that have a pasteurized shell. Add ice the second time. After shaking the ingredients thoroughly in normal temperature, open the shaker to add ice. Then, close the shaker again to mix the contents for 10 seconds. Transfer the drink to a short-stemmed sour glass. A rocks glass is still appropriate, but it does not maintain the foam well. 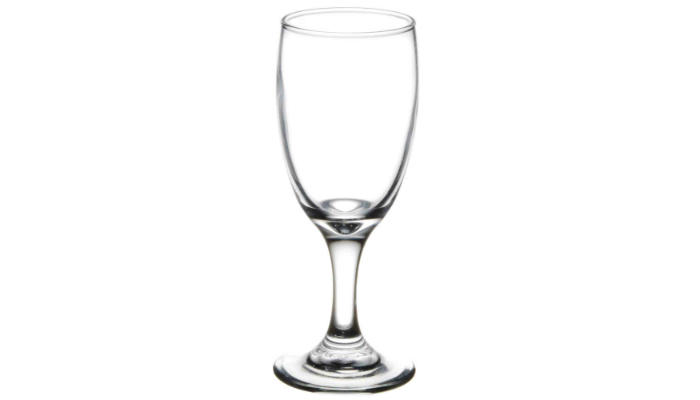 With a short-stemmed sour glass, however, its small mouth keeps the trademark foamy head given by the mixed egg white. Stick with the orange theme. 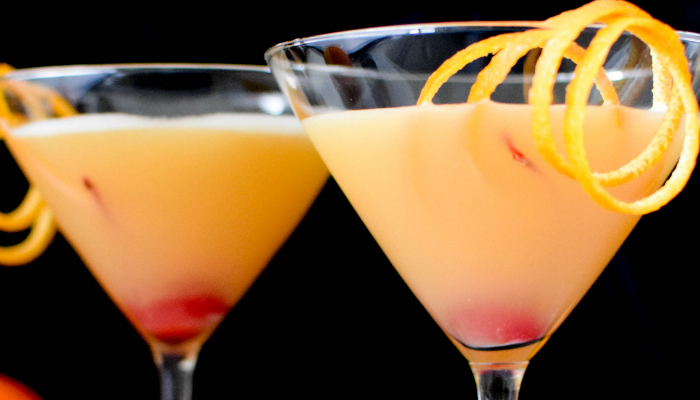 Because Boston Sour contains orange liqueur, it is only right to garnish it with an orange twist. 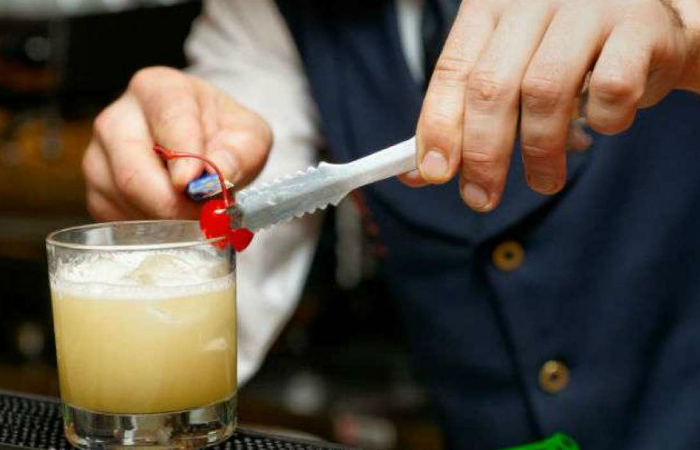 Drink this type of whiskey sour immediately so you can fully enjoy the froth. Transfer the drink to a wine glass. 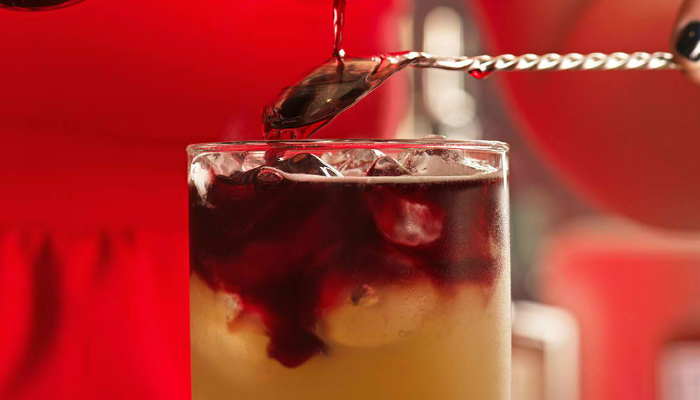 Since New York Sour contains red wine, a wine glass perfectly captures that feature. You may also resort to a sour glass, a wide rocks glass, or a cocktail glass. Only use dry red wine and the back of a spoon. Make sure to follow the back-of-a-spoon trick so the dry red wine can float. To ace that, closely and slowly pour the wine over the back of a spoon. You would know if the wine is floating when it has its own layer over the whiskey sour. Good examples of dry red wine are Merlot, Malbec, and Syrah. Avoid sweet red wine so you will not overpower the whiskey sour with sweetness. Let’s take it up a notch with more ingredients. The Double Standard Sour contains gin, grenadine, and two garnishes. To be more specific, you will need 0.75 ounces of whiskey, 0.75 ounces of gin, 0.75 ounces of lemon juice, 0.5 ounces of simple syrup, a dash of grenadine, a maraschino cherry, an orange slice, and a handful of ice. Despite the addition of other ingredients, the entire process is similar to basic whiskey sour. Mix everything except the rum in a shaker. For additional tips regarding the mixture, Bénédictine can be replaced by yellow Chartreuse or a pinch of Drambuie. Follow New York Sour’s special step. You can also float rum for Dizzy Sour. 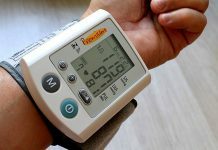 That is why it must not be included in the shaker. However, it is not guaranteed that rum will float. Whiskeys and rums are often similar when it comes to density. Hence they tend to combine together fast. To have a bigger chance of floating rum, chill the glass and ingredients. Additionally, choose rum and whiskey based on their proofs. They should be very different in that factor. Dizzy Sour aims for the tropical theme. So, pineapple skewer as a garnish is too perfect for it. Just a heads-up though, pineapple’s taste can soften the blow of Dizzy Sour’s complex flavors. 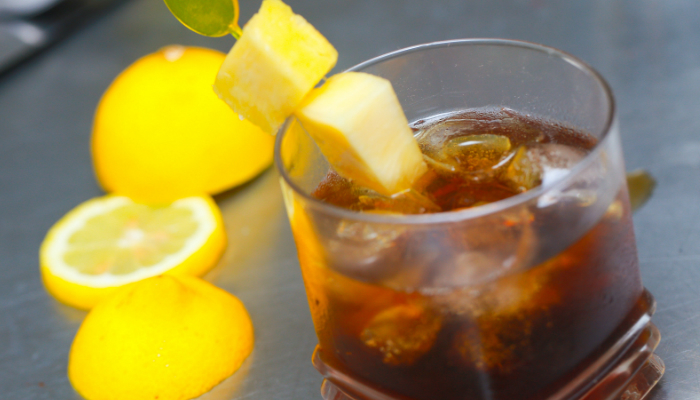 If you prefer a stronger taste, you may skip the pineapple. In learning how to make a whiskey sour, you reward yourself with more knowledge when it comes to various bartending techniques. Get out of your comfort zone by trying Boston Sour, New York Sour, Double Standard Sour, and Dizzy Sour. 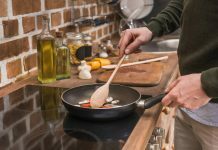 Experimenting with these variations will not take a big chunk of your time anyway. If you want to make other exciting drinks right in the comforts of your own home, learn how to serve absinthe, a Manhattan drink, and the perfect margarita.